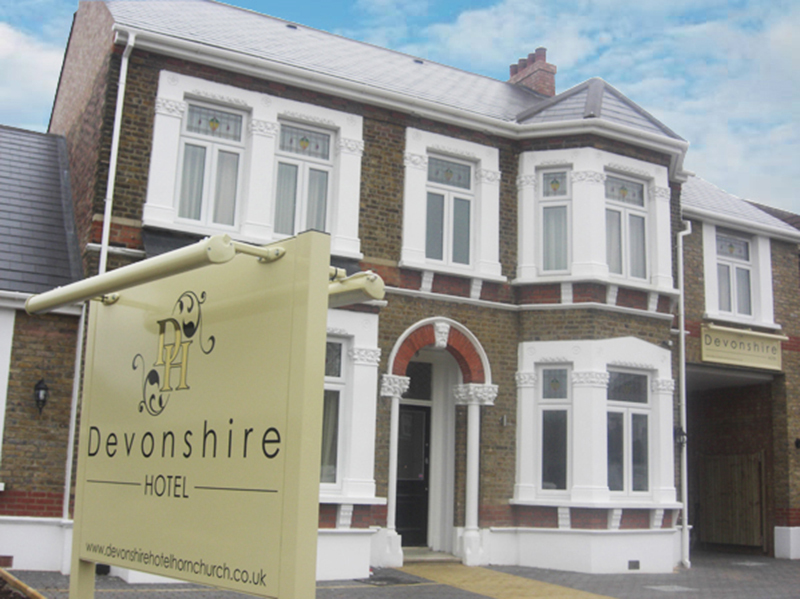 The Devonshire Hotel is a successful, family run boutique bed and breakfast located in Station Lane in Hornchurch in the London Borough of Havering. The hotel’s setting is a striking Edwardian villa dating back more than a century, a property style that this particular area is noted for. Donald Camilleri has run the hotel alongside his wife Michelle since 2011. The hotel business is clearly in the family blood. Donald’s great grandfather opened the first Camilleri hotel in Malta, and his parents were also in the trade. Donald and Michelle’s two children have both worked in the business too, and their son has taken advantage of Havering’s excellent educational facilities to gain a diploma in business management and hospitality, thus providing a continuity plan for the business once Donald and Michelle decide to retire. Prior to owning the Devonshire Hotel, Donald’s family bought the Gidea Park Hotel, also in Havering. Considerable investment was required on the part of the family, but thanks to a supportive planning department, the hotel was able to expand to offer 22 luxury ensuite rooms, and had gained planning permission for a further 5. Unfortunately, due to family reasons, the Camilleris had to sell the Gidea Park Hotel. It was a few years later when they learnt of a former medical centre up for sale on Station Lane and immediately spotted its potential as a hotel. “Again we spoke to London Borough of Havering and they were very supportive. The officers agreed there was a need for a hotel in Hornchurch and the site was suitable,” Donald explained. The Devonshire Hotel opened its doors in 2011 after successful negotiations with neighbours and planning officials. 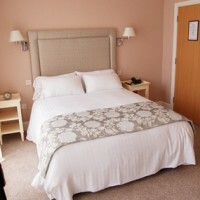 The Devonshire Hotel is able to accommodate 25 people across 12 en-suite rooms, from single to family in size. Planning permission has recently been granted for five chalet rooms at the rear of the car park, along with a lounge bar in the main building. Work on the £230,000 extension is due to start in March 2015 with completion expected by August the same year. When completed, the total investment by the family in the hotel will be £1.47 million. Despite the recession, the hotel has managed to remain buoyant and keep costs covered. During weekends there is usually full occupancy thanks to visitors on short leisure breaks and local wedding guests. The situation of the hotel, with an array of local attractions on the doorstep such as a golf course, country parks and a diverse range of shopping opportunities, as well as the excellent location close to the London Underground, numerous major roads and local airports, is all a great boost for business. On weekdays the hotel is also usually well occupied, this time with business people thanks to contracts with some of the borough’s larger national companies who are keen to support local enterprise. Donald and Michelle consider themselves lucky that Havering and its borders afford them an excellent range of suppliers. Local craftsmen were commissioned to custom design the furniture for the guest rooms, and soft furnishings have all been hand made locally too. In order to satisfy a diverse array of tastes and needs, and to show guests that the Devonshire Hotel is a business that goes the extra mile, local caterers are called upon to supply a high quality range of meat, soya, gluten and dairy-free produce. The benefit of high quality suppliers on the doorstep, combined with the Camilleri commitment to excellence, has led to the hotel achieving the highest possible hygiene rating of five. It has also been awarded two consecutive certificates of excellence from Trip Advisor, with a third such certificate expected for the current year. 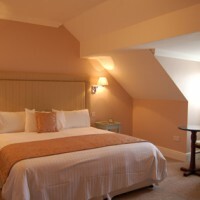 You can learn more about the Devonshire Hotel by visiting: www.devonshirehotelhornchurch.co.uk.